Bristol needs your vote! The ‘People’s Plant Project’, is in the running to win a £120,000 grant to transform the city; bringing a flowerbed of colour to the Cumberland Piazza and providing the Bristol community with some of the UK’s rarest native plants to be displayed via ‘pop up’ gardens around the city. 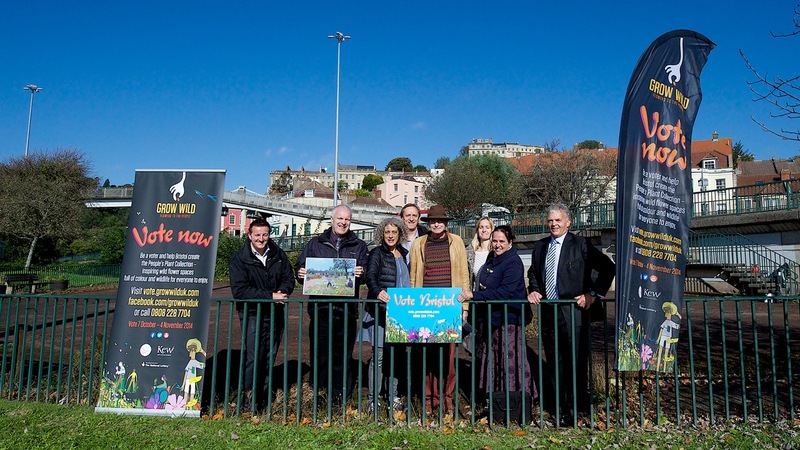 Bristol is up against four other cities across the UK in the Grow Wild competition. Bristol’s project, The People’s Plant Collection is all about transforming dull, abandoned areas into vibrant, colourful wild flower spaces that communities across our wonderful city can enjoy. You can read more about our campaign at: http://www.bristolzoo.org.uk/grow-wild-bristol-needs-you. Bristol Zoo and Bristol City Council will work with the local community to grow native plants at the Cumberland Piazza and will help with our skatespot and pillar painting. Vote for Bristol – the national vote opens on 07/10/2014; we really need you to pledge your support. You can vote by calling 0808 228 7704 or online by clicking here. It’s easy to do and only takes a few seconds. Share this campaign with your friends, family and colleagues. And if you have time you can help us spread Bristol’s message through our Thunderclap Twitter campaign. It’s really easy and very quick to set up with a huge impact for the campaign. By voting for Bristol – The Peoples Plant Collection, you will be supporting the world’s first community plant project which will rejuvenate the Bristol landscape – a legacy created for the people by the people. Share your skills with the community!